Integrated Pest Management, or IPM, is an important concept in the pest control industry. The public awareness of it can be improved, and our company takes the initiative to provide information about this system to the public. Once you understand the concept of IPM, you can make an informed decision about your pest control requirements. Homes and businesses can benefit from this approach to pest control because it evaluates each method in a way that makes practical sense. The end result is a customized approach to pest control that will allow you to maintain a pest-free environment all year long. This is an approach to pest control that is designed to reduce and suppress the pest population beneath a particular threshold. In other words, it is a method of pest control that uses many different techniques to prevent pests from breeding in your area. It also reduces the number of existing pests by using various methods and techniques, which are refined over time. This approach to pest control evaluates every method or technique based on the actual conditions that exist on the property. This might include the presence of pets or children, for example. It is part of our approach to protect the well-being of everyone who uses the property. Integrated Pest Management is an adaptable system, and this means that it is capable of being applied to the same situation in many different ways. The IPM approach allows the pest control expert to recognize the potential for harm to the health of the people and animals in the area. In addition, we have various tools and methods available to use in a manner that will protect your health as well as the health of the environment. You will not have to worry about destroying your garden or plants just to get rid of a pest infestation. You will not have to put the health of your children and pets at risk just to eliminate pests on your property. The integrated approach offers options that were not previously available. Our company utilizes Integrated Pest Management in a manner that makes sense for your particular situation. For example, if preventative measures appear to be indicated, we will apply them instead of an actual treatment plan. As simple as this may seem, it is not a widely shared approach to pest control. The integration of pest control methods is a special service. We hire professionals with a solid background in IPM, and we can provide these services to our customers with confidence and efficiency. Our experts can evaluate each situation and come up with a customized plan that is appropriate for your particular situation. 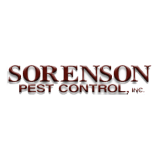 For additional details, contact Sorenson Pest Control today.